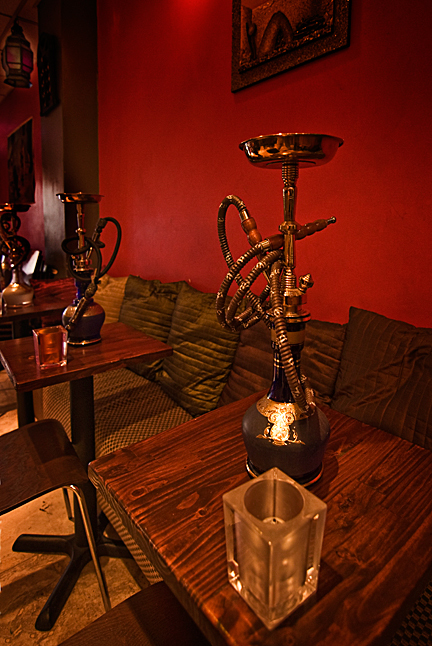 While it is against the law to smoke in most bars in San Francisco, the city has a few hookah bars that actually encourage smoking. 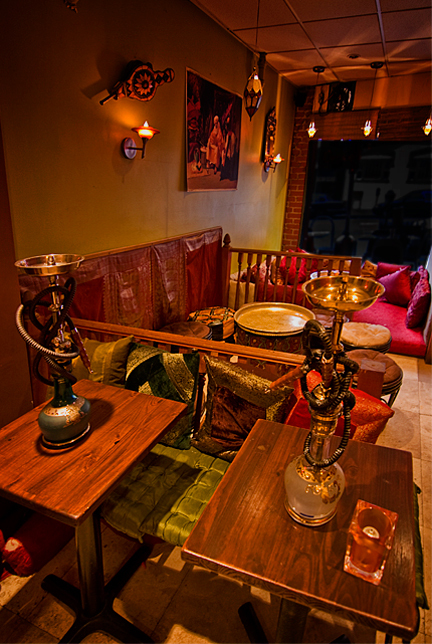 One such bar, the Nile Cafe, is a small lounge in the heart of the Tenderloin that offers Turkish coffees, cardamom tea, and a chance to relax with friends while puffing on a hookah. The Nile offers three dozen blended tobacco options to choose from, including Apple Cinnamon, Citrus Mint, and White Peach. The cafe is decorated with satin pillows, bokara rugs and large brass tables that, along with the Arab music, make you feel like you're in a Marrakesh souk. The Nile is BYOB and the friendly staff will provide glasses for those customers wishing to drink alcohol. The cafe also has an outside patio area complete with censers to enjoy, if the night isn't too cool. So if you're looking for something different to do at night you might want to take off your shoes, lay down on a cushion, relax and enjoy the Nile Cafe.